What's up my Westpark? My name's Zack, for those who don't know, and it's my forth summer here at the pool where I'll be working as an Assistant-Manager. This summer I will be head of swim team and I look forward to seeing all your beautiful faces cheering our team at our swim meets. I just finished my second year in General Social Sciences at Dawson College. 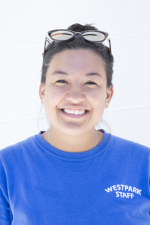 During the winter, I guard and teach at the West Island YMCA, so I guess you can say that lifeguarding is a big part of my life. I'm so excited to be spending Summer 2017 with all of you at the pool! Hey guys my name is Tandis and this is my first year at west park. I'm in my second year of the paramedic program at john Abbott college and I'm loving it! I've been on team Canada and Quebec for water polo, so I'm very excited to be the head coach of water polo this summer! I've been a lifeguard for 4 years now and I've worked at PPK, john Abbott, and MIS. A fun fact about me is that I'm adopted and I love almost every team sport I've played. I'm lucky enough to be working with some great friends this summer and I can't wait to meet everyone this summer! 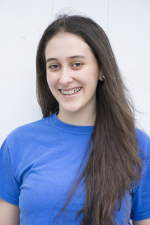 Hi my name is Gabby, and I will be the new senior supervisor this year! It is my first year at Westpark and I am so excited to be Head of lessons. I'm in the Paramedicine program at John Abbott College, training to become a paramedic. I love reading, but especially eating sushi. I am so excited meet you all and I can't wait have a great summer 2017. 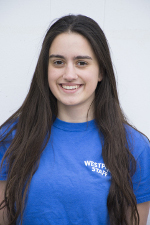 Hey there, my name is Rebecca and this will be my second summer at Westpark. I have been a member at Glenmore pool for a couple of years and I am so excited to become a lifeguard and start working with kids. 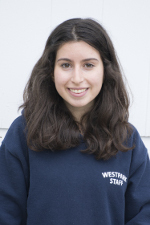 Right now I am in my first year at John Abbott in Sciences. This summer at Westpark, I will be coaching Swim Team. I also hang out with friends a lot and bake. Can't wait to see you all! Hey westparkers! I'm Amanda. I'll be a junior this year and I can't wait to start! This summer I'll be coaching synchro. 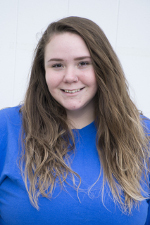 I am currently in grade 11 at Riverdale high school and I love playing sports. I'm super excited to meet you all, I'm sure it'll be an amazing summer! Hey it is me Alexis. This year will be my second year at Westpark and it has been my second home in the summer for as long as I can remember. I go to Riverdale High School. I was also part of the synchro team at DDO for years. I will be coaching Synchro. Can't wait to sit up on that Lifeguard chair, rock the shades and start working on my tan. Hi Westparkers! 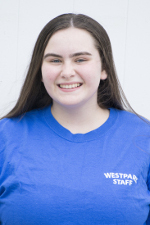 I'm Katrina and this will be my first summer working at Westpark as a junior and I CAN'T WAIT! 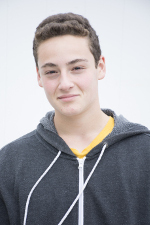 I am currently in grade 10 at Collège Sainte-Anne in the défisports program. I have a passion for both waterpolo and synchro. I am currently playing winter waterpolo for DDO and have done winter synchro in the past. 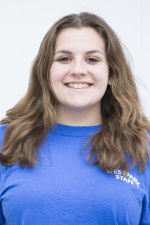 This summer i am super hyped to be coaching synchro. Looking forward to meeting you all and making some wonderful memories! Hi guys! 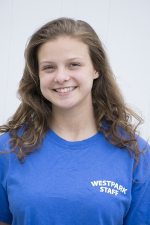 My name is Emma and this is my first year at Westpark and I'm super excited! I go to Riverdale High School. During the winter I play ringette and in the summer I live at the pool. I've been a part of my home pool for what seems like forever! I love water polo and swimming competitively. Now I can't wait to ditch winter for these summer vibez. 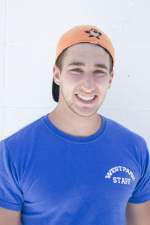 Hello my name is Kevin Cohen and this summer I will be an instructor at Westpark Pool. I will be coaching swim team and I am sure that we will all have a ton of fun beating the other pools. I go to St Thomas High School and I love playing sports. If you ever need an extra player, I'm your guy. I hope to see you all having fun in the sun very soon!